In the last two years, the United States has been humiliating senior members of the Israeli defense establishment who ask for entry visas, according to Ynet. The senior Israelis are made to wait months – up to six months in some cases – and they are given visas for much shorter stay periods than the ones issued to regular Israeli citizens. 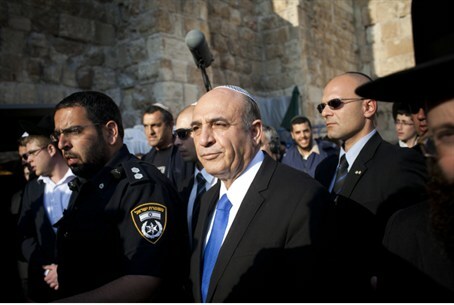 One of the people who encountered these difficulties is former defense minister and chief of staff, MK Shaul Mofaz, who in 2011 was refused entry for months on end, reportedly because of the fact that he was born in Iran. Former national security adviser Dr. Uzi Arad was also denied a visa for a long time. Ynet says that informally, he was accused of speaking to a Pentagon official suspected of leaking information to Israelis. The official was never charged with any offense. Ex-head of the Shin Bet, Yuval Diskin, also encountered visa woes, as did four retired officers with the ranks of major general and brigadier general. They had to wait for many months for visas and were given only one-year visas, as opposed to the ten years given most Israelis. These retired officers have important positions in Israel's defense industries and they needed the visas for advancing joint projects with the US defense establishment.